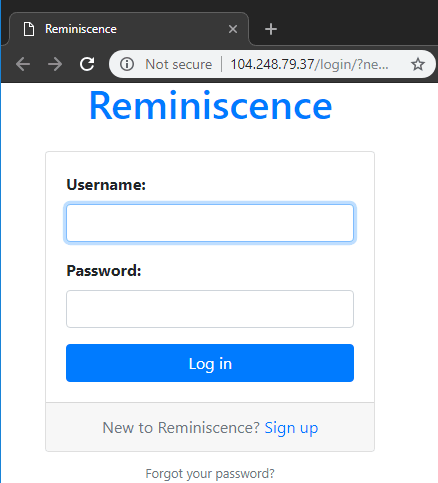 Reminiscence is a free self-hosted wayback machine to save web pages archives. Here you can save webpages as bookmarks and for offline usage. 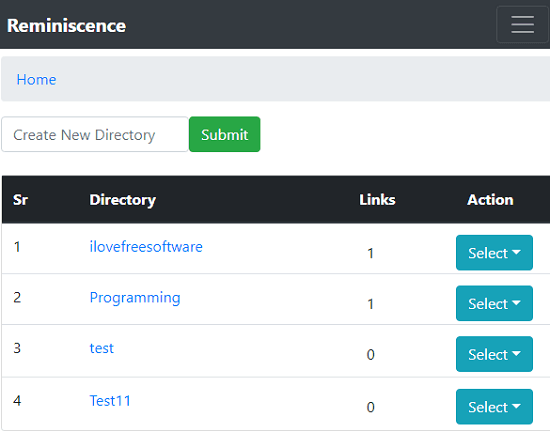 It lets you create different directories and save the web pages as archives. The web pages that you save will remain here till the server is alive. You can add as many web pages as you want and then access them anytime. It uses a URL of the online page to archive it in it. After that, the web page will be available there even if the main online page gets destroyed by the owner or the main websites shuts down. And if you know some technical stuff then you can even opt to download the archives web pages as PDF, PNG. Wayback Machine is the popular internet archive where you can find the snapshot of a website stored over the different periods of time. For example, if you want to see how your websites used to look in 2010 then you can do that. And similar thing I will do in this post. Here you can set up your own wayback machine and start saving the web pages in the different categories. And while adding a URL, you can add summary and tags too to find them easily. All the data that you save here will be safe as it password protects that. In today’s, internet it is not guaranteed that a content on the web will remain there forever. There may be different reasons that the owner of a website remove some pages that you may need later. So, the better approach is to archive that page in your own wayback machine. You can copy the web page, save it, and use it whenever you want. After you have archived a web page, it will remain there even if the main website from which you saved it is no longer available. 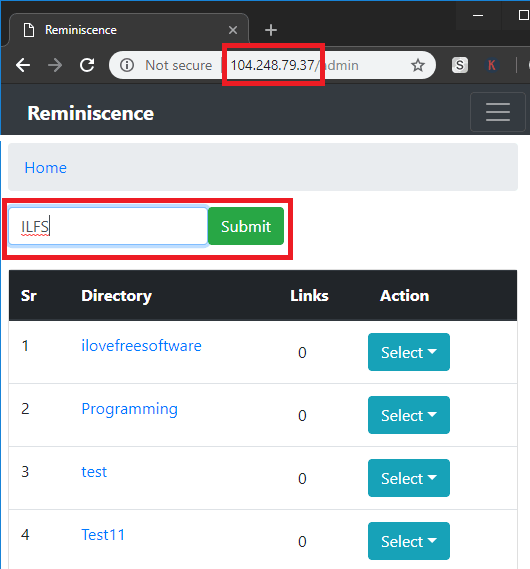 Reminiscence is an open source wayback machine alternative that you can use. You can easily deploy it on your own server and user it as long as you want. For this particular post, I will be using DigitalOcean to host this. And I will use Docker to install and deploy it. You just have to follow these steps carefully if you want to install this on a DigitalOcean server. So, let’s assume that you have created a droplet and logged in PuTTy or in any other SSH client. Though, these steps will be same for any server. 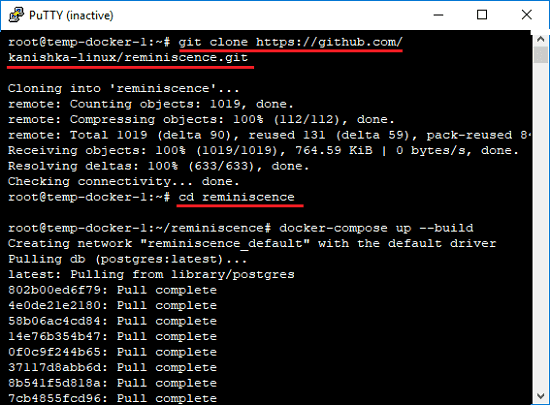 Step 1: Run this command to clone the Reminiscence’s repository on server’s disk. Next, cd into the directory. Step 2: Now, run this command to begin with the installation process. But please do note that, it will take some time to set up this. So, you have to be a little patient here till the command finishes successfully. Step 3: When the above command finishes, you are all set to use Reminiscence. Simply enter the IP of your droplet in the browser and login page will appear. The default username and passwords are “admin” and “changepassword”. You can log into your account and the first thing you have to do is change the account password. Step 4: You can create different directories in your account to save different type of content. Simply enter a name for the directory and hit the Submit button. Step 5: In the different directories, you can start saving the web pages. Just use their URLs and save them in any directory you like. After you have saved a URL, you can add tags and a description to it. Step 6: After saving the URLs, you are done. If you want to see the web page that you have saved later then simply go its directory and simply use the Read option from its corresponding drop down. See the following screenshot. That is all it takes to set up and use this self hosted Wayback Machine on a DigitalOcean server. If you are familiar with DigitalOcean then you will easily install it. But if you haven’t use it then I hope this guide will be more than enough for you to get started. Also, to download the archived page as PDF and PNG, you will have to do some technical stuff that you can find on the GitHub page of this tool. 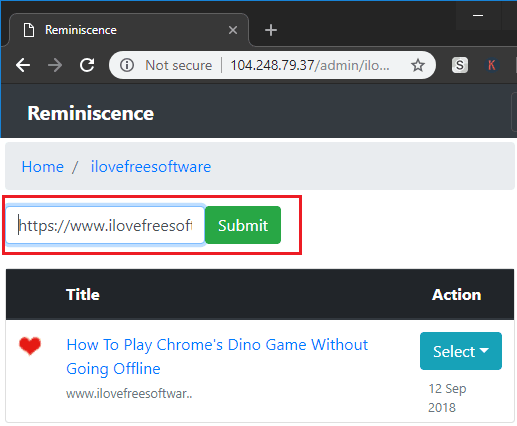 If you want to set up a personal wayback machine for free then you can use Reminiscence. And this post will show you how you can get started with this tool quickly. You just have to run a few commands and then it will take care of the rest. Next, just log in to your account and use, manage your personal wayback machine in any way you like.